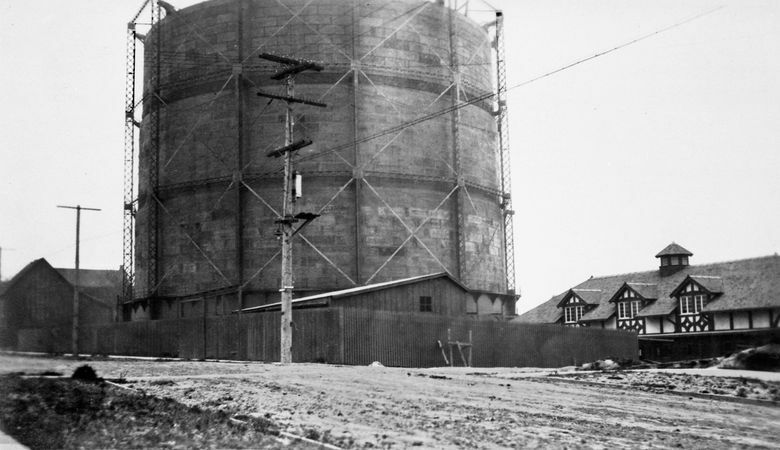 The Seattle Gas Company built two storage tanks in South Lake Union in 1907, back when deliveries of tomatoes and bananas was news. By the 1950s, the tanks were gone. HERE WE LOOK northwest across the intersection of Ninth Avenue North and Republican Street to the first of two gasholders, or gas storage tanks, that were built in succession on this South Lake Union block. 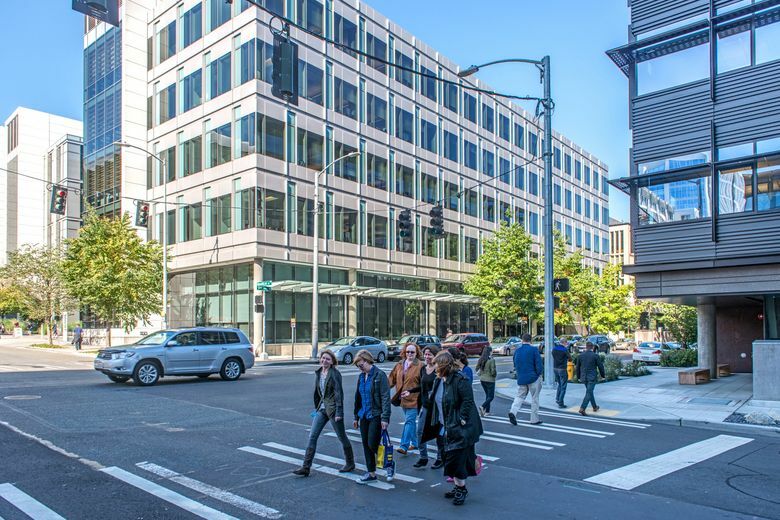 The tanks were around until the 1950s, when they were replaced by the Seattle Gas Company’s modern building, popularly known as the “Blue Flame Building” after the illuminated sign that crowned it. It, too, is gone. The album was loaned to me by Michael Maslan, one of Seattle’s busiest sellers of historical photographs and other ephemera. Michael has been sharing his often rare and exquisite “stock and stuff” with me since the mid-1970s, and many of the images that have appeared in this column the past 33 years came to me through him. It is clear from the photo album that the charming building to the right was built with the storage tank, and somehow served it. The oversized shed — or barn — on the left might be the livery stable for the company’s horses, which by 1907 were beginning to lose their horsepowers to internal combustion.